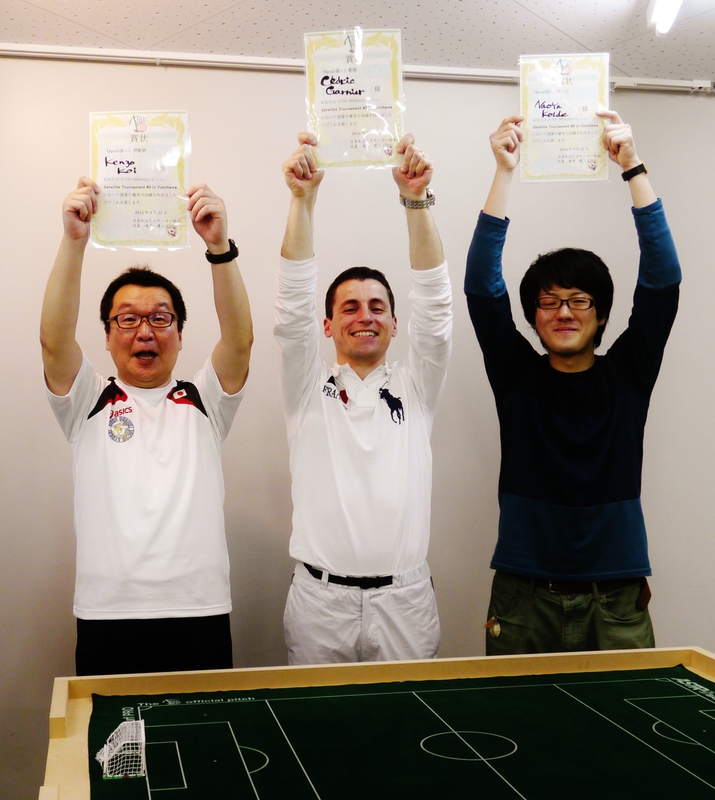 14 players attended the FISTF Satellite of Yokohama held on March 21 in Japan. There was no surprise in the Open category as top favorite Cedric Garnier beat Kenzo Koi (3-0) in the final. Naoya Koide and Naruhisa Horino lost in the semis. Kosuke Watanabe was the U12 champion after winnign all his games in a group of 4. Finally, Tomoko Miyake beat Ryoko Wada on shots to win the ladies trophy.